If you are looking for something fun to do beyond the state of NY check out these exhilarating outdoor adventures in NJ. No matter what type of adventure you want to embark on you are sure to find it in this guide. State parks have so much to offer visitors. For instance, there are historical landmarks, scenic views and other interesting things to see. Most schools take their pupils and students for class visits in state parks, you could also plan a family trip to the state park and enjoy what your locality has to offer. If you ever find yourself in New Jersey and in need of a New Jersey Outdoor adventure to kill some time with your family, Allaire State Park is the right choice. Enjoy the best New Jersey has to offer by visiting this premier state park. If you love skydiving, you have come to the right place. 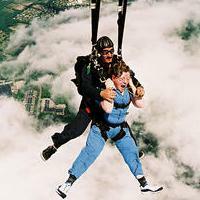 Skydive Jersey Shore provides a safe haven for all the lovers of skydiving and adrenaline junkies. Jumping from a plane high up in the sky may be scary for most people but it's also a good way of relaxing. Skydive Jersey Shore has opened its doors to long term adrenaline junkies who love the sport of skydiving. Note that if you are an amateur skydiver, you must have a trainer jump with you. With trained skydivers to guide the first time jumpers and all the necessary materials, Skydive Jersey Shore offers its services at cheap and affordable prices. Visit Skydive Jersey Shore and enjoy a once-in-a-lifetime adrenaline rush at with this NJ outdoor adventure. New Jersey is a very beautiful state. There are lots of landmarks, rivers and other buildings to see. However, the best way to enjoy a full scenic view of New Jersey is by using a hot air balloon. Visit Balloon Aloft Inc and book a ride over New Jersey. Hot air balloon rides can be enjoyed either with the whole family or a couple of friends. Even better, you can plan a date for your girlfriend or boyfriend. 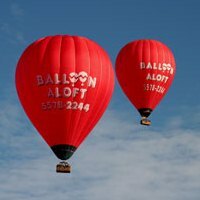 Balloons Aloft Inc is at the forefront of providing all New Jersey residents with the best scenic views of New Jersey. Check out this NJ outdoor adventure today! Get in touch with nature by planning a camping trip for the whole family this coming weekend. Kids always love camping, therefore you can indulge their interest by planning an actual camping trip to one of the best campgrounds in New Jersey. 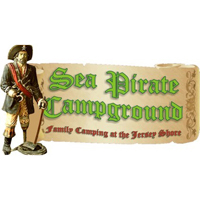 Sea Pirate Campground in NJ allows visitors to enjoy camping as an outdoor adventure and at the same time relax and forget about their normal lives. Naturally, when going camping you discover more about nature and also increase your survival skills in the wilderness. Whales are very fascinating animals with interesting life habits, breeding habits, survival techniques etc. In New Jersey, whale watching is one of the most captivating outdoor adventures. Whale watching involves up close viewing of the whales in the sea. 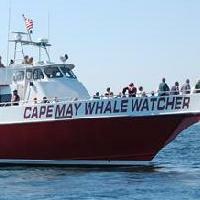 The services of Cape May Whale Watcher come in handy when you want to see whales. Get aboard the ship and view the whales as they go along with their lives in the sea. Thanks to the services offered by the Cape May Whale Watcher, whale enthusiasts get to learn more about their favorite animals as they get as close to them as possible. Looking for a way to spend the upcoming weekend with your kids? Looking for an adventurous experience to bond with your family? Rafting, Tubing or Canoeing is a sure way to enjoy the water and other adventures either alone or with your kids. Looking for a place to take your kids rafting, tubing or canoeing in New Jersey? Lake River Outpost is one of the establishments that encourage New Jersey outdoor adventures such as rafting, canoeing or tubing. Visit this establishment and enjoy your day in the water and in the outdoors! 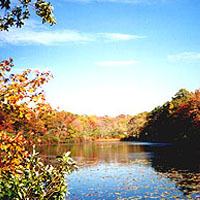 There are different types of outdoor adventures in New Jersey. 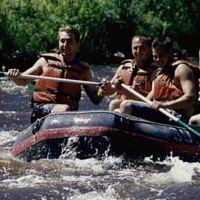 There are some who love water adventures such as rafting, tubing or canoeing. On the other hand, there are those who love sailing. This is one of the New Jersey Outdoor adventures that have become very popular. One of the most renowned sailing establishments is Charter Sails LLC. With the help of this establishment, those who love sailing can enjoy the sea, the fresh air and the scenic views that come from this adventure. 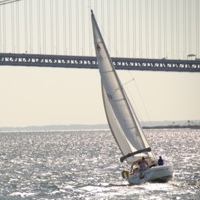 Sail away today using one of the Charter Sails LLC ships or boats. There is no better way to see New Jersey than in a helicopter. You can see the tallest buildings, the most magnificent New Jersey buildings, houses, apartments, offices, rivers, lakes, state parks etc. Being strategically located in New Jersey, Sky River Helicopters is the premier spot for helicopter tours. 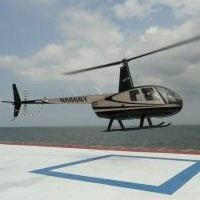 Sky River Helicopters provides visitors and local New Jersey residents with the best view of New Jersey. Plan a weekend with your friends and family this coming weekend by viewing the best of New Jersey. Helicopter tours are some of the best New Jersey outdoor adventures that can be enjoyed by people of all ages. For the residents of New Jersey who love horses, Miller Farms is one of the exceptional places to enjoy your hobby. With horses of different breeds and ages, you can enjoy horse riding during your weekends. You can also choose to visit the farm with your family or friends and enjoy this exceptional NJ outdoor adventure. 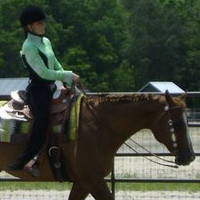 Horseback riding is very interesting and fun. Kids always love riding horses. There is so much to enjoy at the Miller Farms. Take this coming weekend away from home and enjoy horse riding with your friends and family. Parasailing is a sport that's left for the adrenaline junkies. It is an extreme water sport that is very exciting and adventurous which is part of the reason why it's classified as one of the best New Jersey outdoor adventures. However, parasailing is not a game for the faint-hearted which is the reason why it's left to the best parasailers. If you love parasailing, East Coast Parasail is the best place to enjoy this water sport. 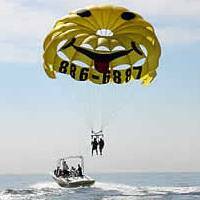 Offering parasailing services at cheap and affordable prices, enjoy the best parasailing services in New Jersey from East Coast Parasail. Visit this establishment today and participate in some adrenaline rushing events.